Meet Olivia. 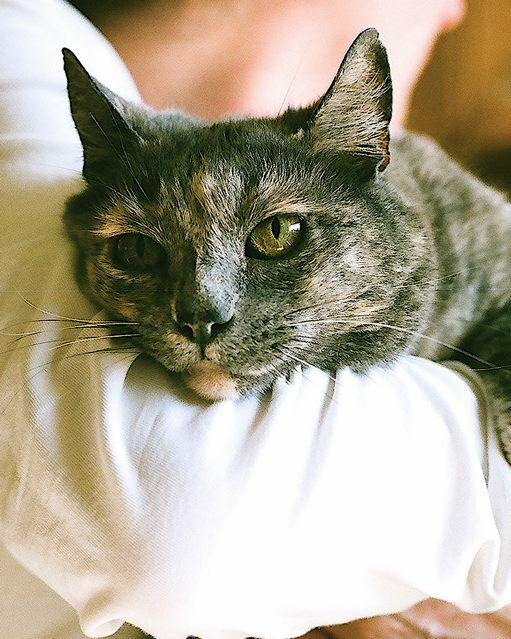 An affectionate blue creme calico around 7 years old whose owner recently passed away. She's a very tidy cat who prefers the company of people to other cats. Likes to sleep on your bed at night and is not a talker. Would probably prefer a quiet household.